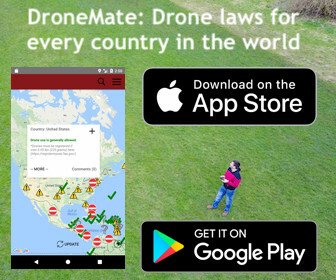 Get all the recreational drone laws worldwide on your phone! 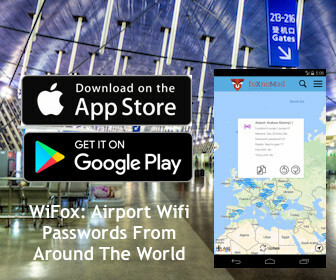 DroneMate app is now available for iOS and Android. Crashing a drone, even one with obstacles avoidance sensors like the DJI Mavic Pro, isn’t hard at all. Small falls from a desk can also put your drone out of commission, easily damaging the sensitive camera lens or gimble. For those of you with DJI drones, they’ve got a fairly polished repair service you’ll hopefully never have to use. But things happen. Here’s how the DJI repair process works and whether or not it’s worth the hassle, cost, or time waiting. First off, I’m writing about the repair process without any kind of warranty, such as the DJI Care repair and replacement plan. So here you are, you’ve crashed or otherwise damaged your DJI drone and wondering why you didn’t spend the extra $99 to get it insured. Whether you have the warranty or not, you need to retrieve the drone. It’s the reason you see people diving into rivers or me throwing car cushions at trees on YouTube to salvage what seems like a lost cause. Once you’ve got your smashed, waterlogged, pathetic looking drone back, log into the DJI website, and head to the repair page. DJI has authorized services centers in over 100 countries (they even list Yugoslavia – not sure what that’s all about). Pick the service center closest to you and select your specific drone (e.g. Phantom 4). The next few pages are where you describe the damage and how the accident occurred. Don’t Lie – You might not know it but your drone keeps very details flight records (you can access from the DJI app). Every movement of the drone and controller input is recorded so forget about trying to make a crash seem like a manufacturer defect. Choose whether or not the damage is a manufacturing defect or pilot error, remove the microSD card, pack up the drone, and send it to the DJI Service suggested to you. Shipping Fees – DJI provide you with a shipping label, covering the shipping, but not packaging, costs. The average shipping time is about a week, depending on where you’re shipping from of course. DJI has a repair tracking page whose only purpose seems to discourage you from sending them emails asking where your drone is. Once the technicians get a hold of your drone though, they email you a detailed record of what an idiot the exact events of the accident. Mine went something like this, which you can compare to the crash video below. Unit was in P-GPS mode and was responsive to RC input; 2. At t=237.9s, relative height=7.1m, unit recorded external impact, then rolled over and fell. 3. User commanded full stick forward toward a tree in a parking lot until 1s before impact. User pressed left turn, backward, right turn, descent, and rightward 1s before impact but forward momentum carried unit to the tree. 4. Obstacle avoidance could not detect fine tree branches due to hardware limitation, especially during winter with no leaf on. Conclusion: User stick command error. Impact in air. Obviously this will vary depending on your specific repairs but here’s a general breakdown of the costs, which is contained in that same email with the crash report. The service costs $65 an hour – the total work took two hours, added $130 to the cost. Those of you who have DJI Care, if the crash is covered, you only pay up to the warranty. (Varies by drone but for example the Mavic replacement with DJI Care is $79 for the first drone; $139 for the second.) In the email DJI sends back with the costs, they have a Paypal link, where you can decide to pay for the repair or not. Repairs are not started until you make the payment and shipping costs are not charged unless you reject the repair. Clearly, the camera is the most expensive component with labor adding the other bulk of the costs. I was surprised not to see the body, or other parts listed since there were major dents from the fall. I figured DJI would ignore what was probably aesthetic damage but happily surprised when the Mavic was finally shipped back from repair. Repair Time – Whatever the repair status page says, it will take about 4 weeks. A drone repaired by DJI is essentially refurbished. There won’t be any signs of previous damage, scratches, or dents. Damaged parts are replaced and repairs are very thorough for the price, essentially 28% the cost of a new drone in this case. Important: Calibrate Before You Fly! 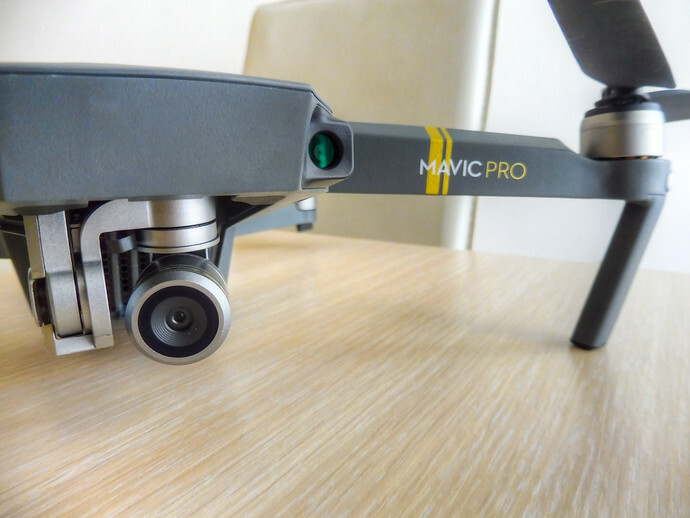 You may have noticed a few nicks on the Mavic photos in this post and be asking yourself, hey, I thought he said there weren’t any visible marks?! Well, there weren’t when I originally got the Mavic back from DJI but I crashed it nearly immediately. It was indoors for a small test but the Mavic slowly veered left, hitting a wall, then I used the emergency controls to shut off the propellers. I was lucky to have dodged another trip to the service center. After looking at the flight records, I realized why the drone wasn’t hovering stably on a horizontal axis. Although DJI tests drones they repair before sending them back, it seems they don’t calibrate the Inertia Measurement Unit (IMU). The IMU orients the drone so when it’s not calibrated properly, it usually drifts. 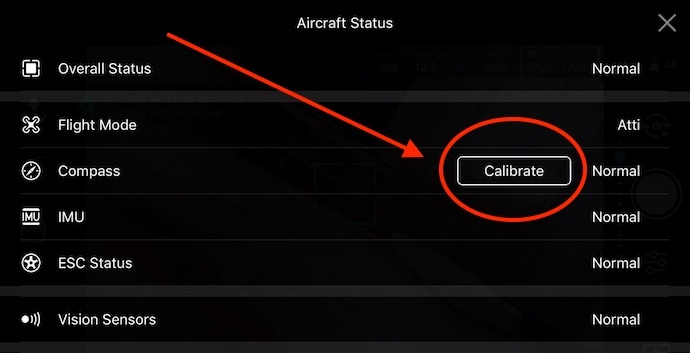 Calibrate All The Things – Be sure to calibrate the compass, IMU, remote controller, and gimble prior to flying any drone you get back from repair. The DJI repair process is a thorough, but slow, process. 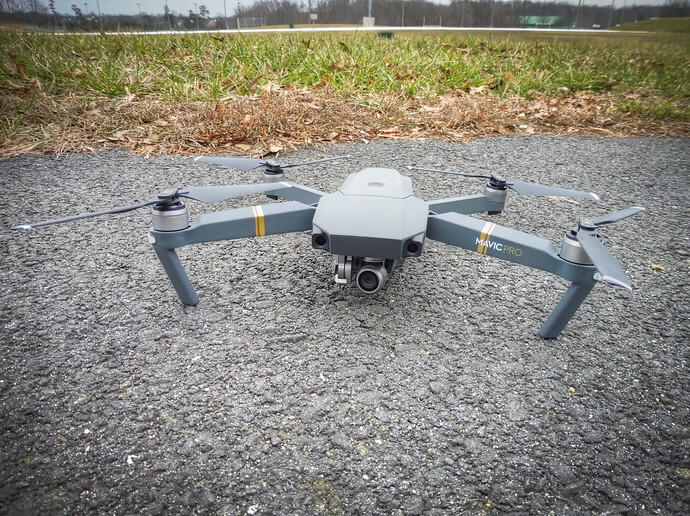 Best to avoid it altogether by doing these 12 things before you ever fly a new drone, which will go a long way to prevent a crash in the first place. Given how easy it is to damage your drone combined with the cost of repair makes getting the DJI Care plan all the more sensible. The DJI Care plans cost about 10% the full price of a new drone plus cover two replacement units over the first year – whether or not the damage is your fault. Since it’s a very cumbersome process to add the DJI Care coverage after you’ve purchased your drone (with no guarantees), keep it in mind and part of your budget when shopping. I have a mavic pro drone I was flying one day,I hit the home button and for some reason I was talking to some one and for getting i Had it and return home and by hold my hands on the left conrol stick on it crash in to a wall and damage the gimbal and one of the sensor to the fron.i have bought a new gimbal and bracket with the gimbal.please send me your repaired shop address at the cost.thank you.